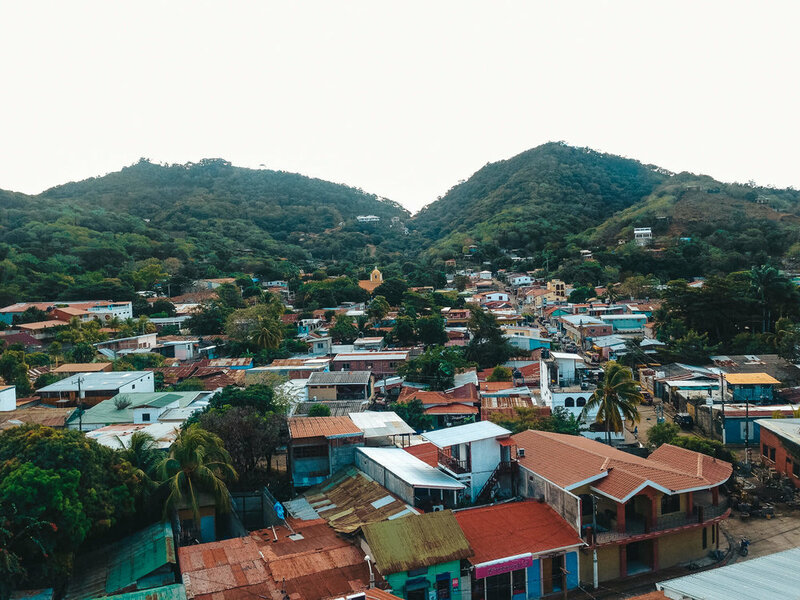 Poised atop a steep hill in the inviting beach town of San Juan del Sur, Hotel Maracuyá overlooks vibrant Nicoya homes and the landscape of Nicaragua. Just a short walk from the shore, its paved pathway leads to local artisan markets and restaurants, granting opportunities to meet new friends and discover neighborhood gems. Hotel Maracuyá's Nicaraguan hosts are warm and welcoming, offering daily complimentary breakfast on the rooftop patio: a secluded retreat with hand-painted furniture and murals. Within the hotel, each air-conditioned room features comfortable bedding, brightly painted walls, an en suite bathroom with hot water, and an open-window shower. 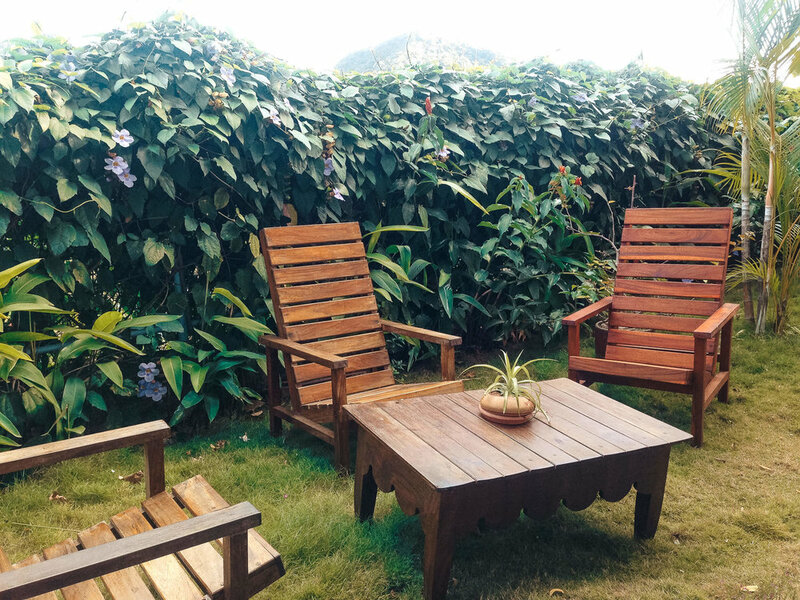 The ground floor rooms open to face a charming garden, with handmade benches and tables placed along a wall of vines, offering a sanctuary for relaxation. You'll find yourself often sneaking away to recharge in one of the garden's hammocks, enjoying the breeze and shade on a warm afternoon. Hotel Maracuyá is a rare find in San Juan del Sur. Close to the beach and robust nightlife, yet far enough from the cluster of surf hostels -- allowing for a good night’s rest and comfort reminiscent of home.